Adult siblings are a source of friendship, solace, and aggravation. In many families, one sibling will act as primary caregiver and the other siblings will give support wherever and however they can. In some families, however, persuading a sibling to help take care of an elderly parent is more difficult than convincing a toddler that an all-waffle diet is unhealthy. It is an infuriating discussion, and frequently the most positive outcome is grudging acceptance. 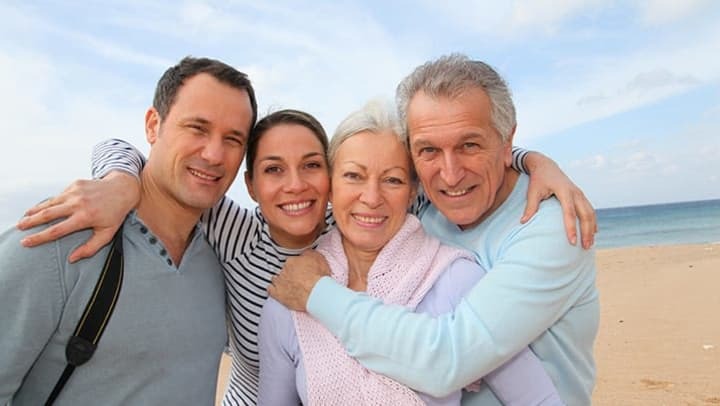 AgingCare lists the three most common excuses given by unhelpful adult siblings. As with many excuses, once one is disproven, another arises. Quick note: Communication is of the utmost importance. Make sure your sibling understands how much help you need. Be as clear as possible. 1. "I'm too busy with ____." or "I just don't have time." This implies that you, the primary caregiver, do have the time. In reality, you probably don't - you make time to take care of your aging loved one(s). Explain to your sibling that any time he/she could spare would be beneficial. 2. "I can't afford to help." Sometimes this pops up after the above excuse is proven false. AgingCare advises caregivers to remind siblings that there are plenty of other ways to help. Your brother who would love to pay for respite care if he could afford it could sit with your mother for a day. Your sister who is totally going to help out with your dad's bills when she gets back on her feet could be enlisted to help get his finances in order. 3. "It's too hard for me to see him/her like this." It probably was for you at first, too. The only counter to this is telling them to get over it. Stand up or step aside. It is heartbreaking to watch your parents - your role models, your heroes - decline, but you do it because you must. If you still can't convince them to take a caretaker role, see if they can help you instead. They could run errands, clean your house, or help you out in dozens of other ways while you are taking care of your parents. Remember that your sibling is still a person and still family. There could be many reasons for this behavior. Their justifications can be legitimate (dealing with a newborn, attending graduate school) or frivolous ("Mom's house is too sad. "), but the bottom line is that your sibling has different priorities. Sometimes the best thing you can do is let it go. If your siblings legitimately cannot give you their time or money, they can support you emotionally. Keep in contact with them, keep them updated. If your siblings simply refuse to help, you will need to accept it. Try to let go of your resentment. AgingCare concludes the article with helpful resources for caregivers who are giving care as de facto only-children. Remember: you are doing the best you can with what you have.